Learn tips and tactics from the very best, in this newly revised and expanded edition. 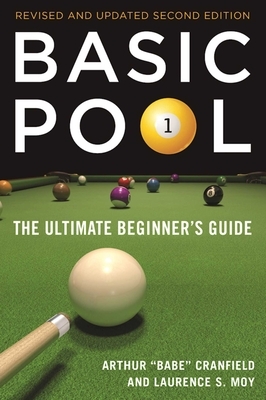 * Consumer reviews say it best: pool Hall of Famer Arthur Babe” Cranfield wrote an "easy to read and understand" pool manual that will have "beginners and skilled players alike" play better. "Excellent guide", "helpful illustrations", "recommended to all". * Give it a try and "you cannot help but play better". Arthur Babe” Cranfield was inducted into the Billiard Congress of America’s Hall of Fame in 1997 and was the only player in the history of the sport to win the National Junior, National Amateur, and World Professional pocket billiard titles. He lived in Syracuse, New York, prior to his passing in 2004. Laurence S. Moy is a partner in a law firm, a former college pool champion, and an accomplished pool player. He lives in New York City.